If event planning isn't exactly your strong suit, planning a conference for your company can have you shaking in your boots. After all, a quick search for meeting rooms in London turns up tons of results with few differences between them. Before you settle on the best conference facilities for your company's events, let us demystify their use, function, and special features. Who Uses Them? First, recognize that everyone from businesses to non-profits use conference facilities to host major events. The purpose of hiring these facilities boils down to the features and amenities they offer combined with their square footage. Whether you're hosting a small meeting for a few staff members or a massive event where customers will view your recent product launch, your audience plays the most important role in determining your final selection. What is a Conference Centre? While hotels and restaurants can serve as small-scale conference facilities, for the best experience you need to hire a spacious location. For example, the Cotswold conference centre provides endless meeting rooms and amenities to choose from. If you're in the London area and want to select a respected space, this is an excellent choice. The core elements that signify a true conference centre include: - Focused on business meetings over filling occupancy - Minimal to zero distractions - Privately owned and operated - Medium to large in size - Located outside of the city center Another very important aspect of proper conference centres is accreditation. Conferences with on-site technological amenities such as wi-fi, are critically important for a functional conference. Accredited conference centres give your meeting a powerful foundation to work from, and make all the difference in the results of your event. What to Expect When you book a conference centre, remember it isn't the same process as booking a hotel or a similar venue. You can expect the full support of the venue's staff along with exceptional customer service for your guests. Conference facilities are typically targeted at making your life easier as the host, so convenience is an important factor as well. 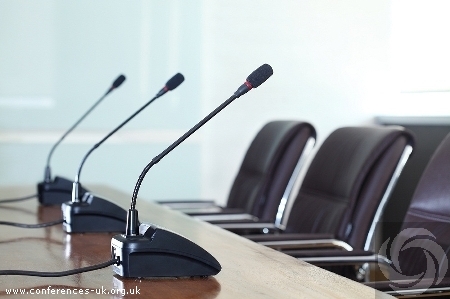 If you're looking for meeting rooms in London consider a conference centre instead. The benefits far outweigh the price differences, and your customers will enjoy the experience that much more.